After releasing their New Emotion EP through Arts & Crafts, Vancouver-area grunge punks Dead Soft embarked on a hefty tour with the Dirty Nil. Mere days after concluding the North American run, they've already announced another trek. Dead Soft have revealed another truly impressive run of shows spanning a decent chunk of Canada and the United States. 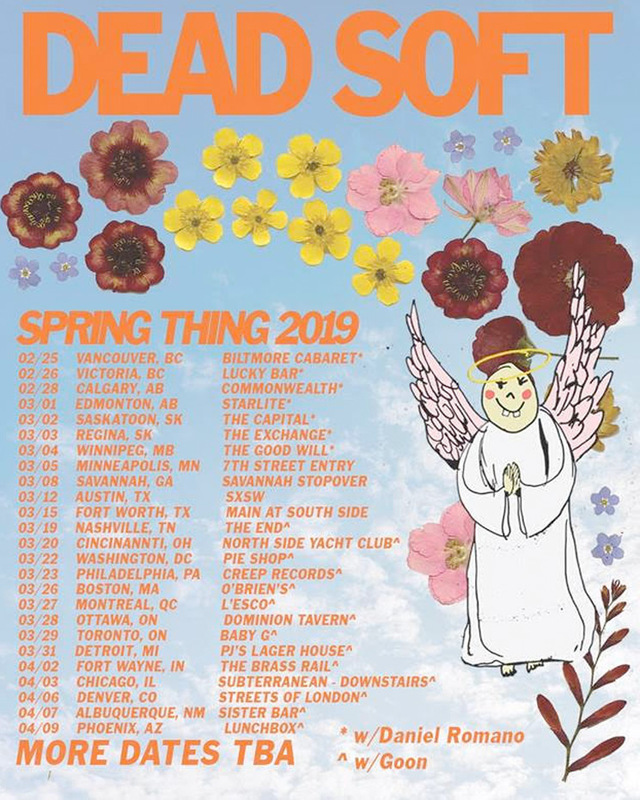 Along the way, they'll tour in support of Daniel Romano and Goon in what Dead Soft are calling their "Spring thing 2019" tour. Peep the band's full itinerary below, along with their music video for "Down."